 Humania BPO, a next-generation customer service provider. Our goal is to support our clients on all time zones with their customer service management in the best possible way. Our process is designed to be tailored and adapted to each client, and to markets, industries and particularities. We operationalize data and the customer relation as part of an integrated, custom approach for both traditional and digital systems, with a view to boosting our clients' financial and operational gains. To this end, we put our team of customer service experts at our clients' service. Voice of the client programs, customer-centric culture, business intelligence and metrics, experience design, customer experience delivery training, and more. Because Humania BPO started as a customer service provider in Canada, it has extensive knowledge of North American standards and solid expertise in the French-speaking world. Our partners thus benefit from our unique experience and from the best practices we apply at an international level to improve their customer service management, giving them a competitive edge on their markets. Voice of the Customer management programs. Dashboards, alerts and feedback/verbatim analyses. Mapping (design) of customer journeys and business processes. Consulting services, change management, customer experience training. Migration from traditional centers to digital systems. Our mission is to help companies optimize their customer experience management with our one-of-a-kind, customized and integrated approach. To do so, Humania BPO offers a local and international outsourcing strategy, centered on making financial and operational gains while keeping quality at the height of its clients' expectations. We then implement a turnkey local and international management solution, controlled locally by our Humania BPO Customer Success Managers. A dedicated Customer Success Manager implements a detailed deployment plan tailored to each client using a turnkey approach. In order to better advise and support companies in their customer service management, Humania BPO offers a made-to-measure approach through its CSMs. The CSMs design personalized systems according to their client's expectations and criteria (needs, challenges, processes, strategies, etc.). This dedicated contact person is an essential resource to ensure continuous monitoring, which includes the interpretation of operational results, the implementation of a reporting system and the analysis of key performance indicators. In addition, the CSM's role is to be up to date with industry best practice and technologies in order to continuously improve the quality of our clients' services. Each client receives a dedicated CSM to manage operations. The CSM is a dedicated contact person who intervenes directly with our clients to offer them personalized support for their customer service. He or she deploys a tailored strategy and manages the local and international operation of call centers. In their project management, CSMs evaluate performance and interpret data and operational results in order to establish an ongoing improvement practice with our partners. What will happen when digital channels eventually replace the telephone, at least in large part? How will you manage your customer service? Our vision for customer service management was developed with this new reality in mind. With our digital customer service support, we aim to help our partners communicate effectively and shift part of their telephone exchanges to digital interactions.